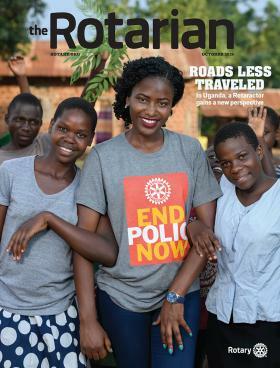 Check your mailbox for the most recent issue of The Rotarian, which features the project headed by our member Dr. Karin Davies, who partnered with Dr. Pat Bromberger to teach health care professionals in Ethiopia to deliver life-saving care to struggling newborns. If you’d like to help Karin share this issue with project stakeholders, please save your copy and bring it to Karin at an upcoming meeting. You can also read the article online by clicking here.